Former HealthSouth CEO Richard Scrushy says he wishes he had taken the stand in his own defense during the prosecution of former Alabama Governor Don Siegelman. "Absolutely, I regret it," Scrushy said when asked in a recent radio interview about not taking the stand. Scrushy told San Francisco-based radio host Peter B. Collins that he was faced with a number of valid reasons for not taking the stand. But after serving six years in federal prison for a "crime" that the public record shows he did not commit, Scrushy said he would do it much differently today. As for Siegelman, he was released from prison during the appellate process, but with his appeals exhausted, he has resided in a federal prison at Oakdale, Louisiana, since last September 11. Speaking in his first interview about the Siegelman case, Scrushy used the word "sick" several times to describe the process that led to unlawful convictions. "You have a governor locked up who didn't do anything wrong," Scrushy said. "I spent six years in prison for something I didn't do wrong. This is America, and we have a constitution . . . "
One constitutional principle is that criminal defendants have the right to remain silent--and they often are advised not to take the stand at trial. Criminal defense lawyers tend to follow a maxim that goes something like this: "Do not take the stand to defend a case that has not been proven." There was no case. My lawyers looked at me and said this is a criminal case--beyond a reasonable doubt--and they've not put on one shred of evidence that you ever cut a check, that you gave [Siegelman] anything, that you ever had a meeting . . . There was no case against us, nothing. It was a joke. In the closing arguments, when the prosecutors got up, they said . . . you've got to imagine these deals are cut in a back room with cigars and martinis . . . you have to imagine these things . . . I thought it was about facts. We showed that I didn’t cut a check, we didn't have a meeting, there was no bribe, no benefit. . . . We thought the jury got it, but apparently they didn’t. This is critical, and I don't understand how the jury missed this. Nick said he saw the check on such a date in June . . . and he knew it was from me because he saw my signature on it. . . . Well, I never gave the governor a check, and I didn't have a meeting with him, and we proved that. . . . The check was written on like July 19, a month and half later, from another company, and I never signed the check. We brought the CEO from the other company down and put him on the stand, and said, "Is it possible that this check could have been written in June?" And he said . . . no, it's impossible. That whole story was totally made up. How the jury could find . . . there was no check that I signed, and the date didn’t work, and the guy testified that it came from their company, it didn't come from me. I don't know how the jury connected those dots. They weren't paying attention. They slept through it, I guess. I thought it was over with. When I heard that testimony, I said, "Well, that's it." When you get on the stand, because I had been through the difficulty in the HealthSouth trial, the lawyers thought, "They are going to muddy the water and bring all of that up again, and we really don't need to introduce all of that into this case. We should be able to go into closing and show there is no evidence against you. . . . " I didn’t mind getting on the stand, and I had prepared to go on the stand, and today, I wish I had of. As I look back on it, it’s so much deeper [than people realize]. If anybody brought to the surface all of the activities of the governor that came in [after Siegelman] . . . it’s a very sick story for the state of Alabama and for this country. The way money flowed, the people who pocketed millions, and how they did it . . . and they wouldn’t have done it if Siegelman had been in there. . . . It is so deep; it goes all the way up to Washington, not just Alabama. . . . I don’t know all of the details . . . I'm trying to piece it together . . . but it looks to me that there was so much opportunity through the Republicans and their relationship with [Abramoff], and Siegelman as governor would have destroyed their plans. You've got to take a look at the people who were elected [in place of Siegelman] and follow the money to all of those folks. I lie awake at night and think, "How did they get away with it? Why has no one uncovered all of that filth?" I’ve got to move on with my life; I've got nine children, and a beautiful wife and a lot of things I want to accomplish in my life. But this is just sitting there, and it needs to be dealt with. A lot of people have mud on them, and they are running around free as birds, and they've done very bad things. I believe we should shine light on this, and these people should come clean. . . . I think it’s good for people in this country to understand that we have problems with our judicial system, we have problems with our politicians. The average guy walking the street doesn’t realize the corruption [is out there]. I don't think there is anything wrong with pointing it out whenever we have that opportunity. 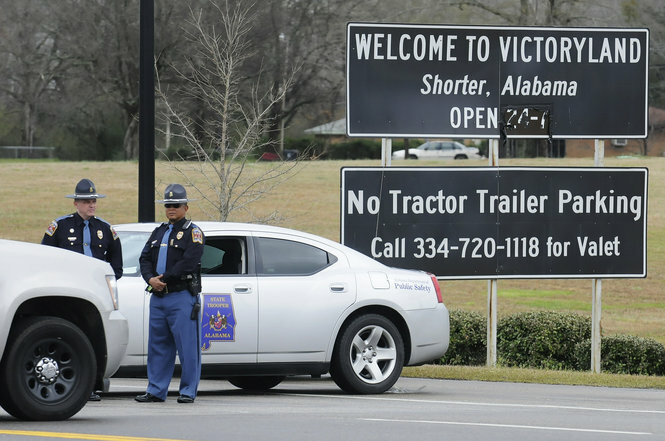 Agents of the Alabama Attorney General's Office damaged or destroyed property in a February raid at the VictoryLand casino, according to a federal lawsuit filed by Tuskegee Mayor Johnny Ford and other residents of Macon County. The lawsuit also contends the Alabama Supreme Court wildly misinterpreted an 1899 case that was central to its order that forced Macon County Circuit Judge Thomas Young to approve a search-warrant application from Attorney General Luther Strange. Lawyers for the Macon County residents make a compelling case that Strange's agents violated the terms of a search warrant that they never should have been granted in the first place. During the raid, agents destroyed VictoryLand property and closed its pari-mutuel wagering operation and its restaurant, even though those businesses were not the subject of the search warrant and Defendants have never questioned the legality of those operations. Pursuant to the terms of the search warrant and an order entered by the Macon County Circuit Judges, the Attorney General's agents were supposed to preserve the integrity of the machines for later testing and take care not to damage any of the equipment. Instead, agents under the direction and control of the Attorney General cut the wires from a number of machines and damaged and destroyed others. While representatives of the AG's office were acting like thugs during the VictoryLand raid, they were acting like con men in courtroom proceedings, according to the federal lawsuit. As an example, Ford's lawyers point to the AG's reliance on a case styled Benners v. State ex. rel. Heflin, 124 Ala. 97 (1899). Attorneys for the AG's office cited Benners for the proposition that it authorized the Alabama Supreme Court to issue a writ of mandamus, forcing Judge Young to approve a search warrant in Macon County. But lawyers for Ford point out that Benners dealt with an arrest warrant, not a search warrant, and the heart of the Benners finding was overturned 10 years later. On top of that, the adoption of subsequent federal and state laws appear to make Benners a non-factor in the modern-day courtroom. The Benners case dealt with arrest warrants, not search warrants. And the Benners case forced a local justice of the peace to issue an arrest warrant, something the Supreme Court subsequently described as "a purely ministerial act" and only appropriate there because the justice of the peace "had no judicial discretion in the matter." Ten years later, the Alabama Supreme Court recognized that Benners does not apply when judicial discretion is at issue. The subsequent case limiting the Benners decision is not mentioned in the Attorney General's brief, apparently because he did not want them to read it. Moreover, the Benners case pre-dates the application of the Fourth Amendment to the states, the Alabama search warrant statutes, and the Alabama Rules of Criminal Procedure. The actions of Luther Strange, his surrogates, and the Alabama Supreme Court have been highly questionable in the VictoryLand matter for quite some time. They become even more so when you read the complaint in Mayor Johnny Ford's federal lawsuit. Tuskegee Mayor Johnny Ford and five other residents of Macon County have filed a federal lawsuit alleging Alabama Attorney General Luther Strange has caused "economic devastation" by unlawfully closing the VictoryLand casino. Plaintiffs claim they and other Macon County voters have been the victims of a Republican Party plan that involves the use of Indian gaming funds to help take over all three branches of the Alabama government. The scheme, plaintiffs state, essentially nullifies their lawful votes to allow electronic bingo at VictoryLand. Macon County is home to historic Tuskegee Institute, which was founded by Booker T. Washington and featured George Washington Carver as perhaps its most noted teacher. Ford held a press conference on April 5 to announce filing of the lawsuit, but the mainstream Alabama press largely has ignored the story. We found reports at The Tuskegee News, the Opelika-Auburn News, and Courthouse News Service. But we found no coverage in newspapers serving Alabama's four largest cities--the Montgomery Advertiser, plus al.com newspapers in Birmingham, Mobile, and Huntsville. How can so-called news organizations ignore a story that raises weighty, constitutional matters? It's hard to fathom an answer, but it certainly is not because the lawsuit deals only with bingo. At its heart, the lawsuit alleges a conspiracy between Indian tribes and white Republicans to deprive black Alabamians of constitutional protections. Beginning in 2003, white political leaders of the Alabama and National Republican Party . . . , including but not limited to Governor Bob Riley, initiated plans to elect white Republicans to the Executive, Legislative, and Judicial branches of government in the State of Alabama, allegedly referred to as "Operation 2010." In order to raise funds to accomplish their goal, Alabama Republican leaders and elected officials entered into a scheme with the Mississippi Choctaw Indians Casino Operators . . . and later the Alabama Poarch Band of Creek Indian Casino Operators. . . . This scheme included eliminating competition to Indian Gaming from non-Indian Gaming, including "VictoryLand" located in Macon County, Alabama. Eliminating VictoryLand served the dual goals of both by providing Indian Gaming a monopoly in Alabama and shutting off potential non-Indian Gaming . . . contributions that Republican political leaders feared could be used to thwart their political plans. The Choctaws, and later the Poarch Creeks, were able to disguise millions of dollars of contributions through Republican-based nonprofit organizations, including but not limited to, the National Christian Coalition, the Alabama Christian Coalition, the Alabama-based Republican Governors' Association and other Republican-based Political Action Committees ("PACs"). Indian Gaming funds were disguised in this manner to hide from the Alabama electorate that Republican candidates, whom they believed were opposed to all forms of gambling, were in fact taking millions of dollars from Indian Gaming. The State of Alabama has a long history of utilizing the state constitution and the power of central state government to deny African Americans in Black Belt counties, such as Macon County, the ability to govern themselves and to make and to enforce laws of their choice. . . . This Court uncovered more recent attempts to deny African Americans in Black Belt counties the ability to govern themselves and to make and to enforce laws of their choice when it found "clear evidence of political manipulation motivated by racism." Two white Republican Senators and other white "influential Republican legislative allies" were recorded discussing their political strategy to keep a proposed constitutional amendment off the ballot because: "Every black, every illiterate would be bused on HUD financed buses." The recordings took place in the office of a white Republican state legislator in the Alabama Statehouse. This Court determined that: "The [white Republican Senators'] recordings present compelling evidence that political exclusion through racism remains a real and enduring problem in this State. Today, while racist sentiments may have been relegated to private discourse rather than on the floor of the state legislature . . . it is still clear that such sentiments remain regrettably entrenched in the high echelons of state government." The Macon County lawsuit shines new light on racism in high places--and the Alabama mainstream press clearly wants no part of telling that story. A black, female judge in Alabama has been suspended on allegations that she issued unlawful contempt citations in divorce cases. Meanwhile, a white male judge in Alabama has received no known discipline for issuing a contempt order that caused a woman to be unlawfully incarcerated in a divorce case last year. Are racism, sexism, and corruption alive and well in a Deep South court system? Are Alabama courtrooms, long infested with a hunting-club culture among lawyers and judges, operating like artifacts from the 1930s? With news yesterday that Jefferson County Circuit Judge Dorothea Batiste has been suspended from the bench, the answer to both questions appears to be yes. That is especially true when the allegations against Baptiste are compared to the actions of Chilton County Circuit Judge Sibley Reynolds. We have reported on multiple federal lawsuits that allege Alabama judges and attorneys meet at hunting clubs to fix divorce cases. Judge Reynolds, based on the photo above (plus others that we've received from at least one Web site) clearly is active on the hunting-club scene. We've seen no signs that Judge Batiste enjoys hanging out in the woods, shooting wild animals, and cutting corrupt deals with white divorce lawyers. Is that why Batiste finds herself on suspension, while Reynolds seems to make unlawful rulings at will from his perch in central Alabama? Do hunting-club judges receive hands-off treatment, while those outside the clique are singled out for sanctions? Sure looks that way from here. 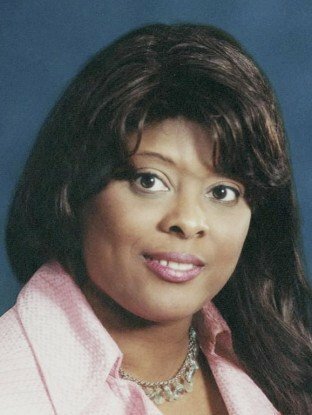 Jefferson County Circuit Court Judge Dorothea Batiste has been suspended from the bench with pay after the Alabama Judicial Inquiry Commission last week filed a complaint against her stating she had entered unlawful contempt orders for the arrest of parties or witnesses in divorce cases. An attorney for Batiste this evening denied the allegations in the complaint, saying the charges against her were being led by a former Jefferson County judge. He said a judge must have the power to issue contempt charges or lose control of the courtroom. 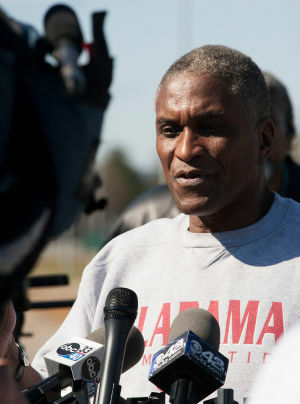 "The whole thing is a huge travesty of justice," said Julian McPhillips, attorney for Batiste. The [JIC] complaint states the allegations are based on Batiste's violation of Alabama Canons of Judicial Ethics "through her repeated failure in 2011 and 2012 to comply with both Alabama and federal law regarding her exercise of contempt power . . . in a series of domestic relations cases in Jefferson County Circuit Court ("the subject cases") in which Judge Batiste entered unauthorized, unwarranted, and unlawful orders for the arrest and jailing or incarceration of litigants or witnesses." Let's compare that to the actions of Judge Sibley Reynolds in the case of Clanton resident Bonnie Cahalane (Knox) Wyatt. As we reported in a series of posts last year, Ms. Wyatt spent almost five months in jail because of her failure to pay a property-related debt in a divorce case. Despite clear prohibitions under Alabama law, Judge Reynolds kept Bonnie Wyatt locked up for almost five months. As I write this, Ms. Wyatt is being forced to sell her home, based on an "agreement" that was reached at the threat of her returning to jail. A contract reached under such duress is unlawful, but Ms. Wyatt's house could be sold any day now. Has Reynolds faced sanctions for his unlawful actions? Apparently not, and multiple readers have told me they have filed JIC complaints against Reynolds. The response from the commission, so far, has been silence. It certainly is possible that Dorothea Batiste has made mistakes in her brief time on the bench; the JIC complaint portrays a judge who has a tendency to be heavy-handed. 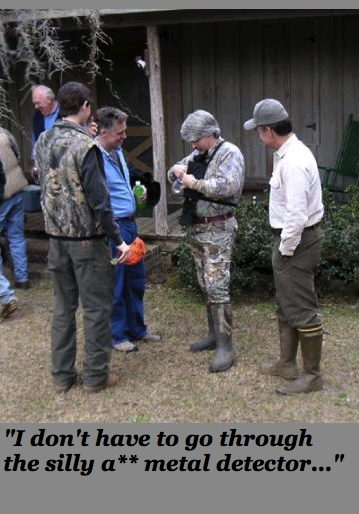 But our primary question is this: Would Judge Batiste be home free if she took part in Alabama's hunting-club scene--if she followed Sibley Reynolds' lead and donned camouflage gear to hang out in the woods and cut deals? The answer, in my view, is yes. Most states have laws that require a trustee to tell beneficiaries about the existence and provisions of a trust fund at age 18. The wealthy Rollins family, with its primary bases in Georgia and Delaware, doesn't seem to do it that way. But a recent court ruling in an Atlanta lawsuit apparently will force the family to change the way it manages trust accounts--and it might shine light on our reporting of Rollins-related matters here in Alabama. The Rollinses, the folks behind Orkin Pest Control and other highly profitable enterprises, are one of the nation's wealthiest families. But the clan's patriarchs apparently have a habit of keeping the next generation largely in the dark about trust funds. That sparked a lawsuit in 2010, with four of Gary Rollins' children alleging that their father and his brother, Randall Rollins, had breached their fiduciary duty as trustees. A recent Georgia appellate ruling found that the children's case presented issues that should be determined by a jury. How might this shape the Rollins story in Alabama? 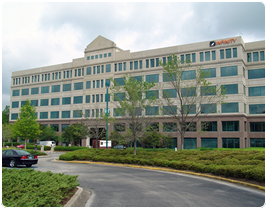 The answer to that question remains unclear, but we do know this: Ted Rollins, Randall and Gary's cousin, is CEO of Charlotte-based Campus Crest Communities, a developer of student housing near public universities around the country. Campus Crest has four projects in Alabama, and Ted Rollins played a central role in a divorce case here that resulted in a monstrous cheat job against his ex wife, Birmingham resident Sherry Carroll Rollins, and their two daughters. 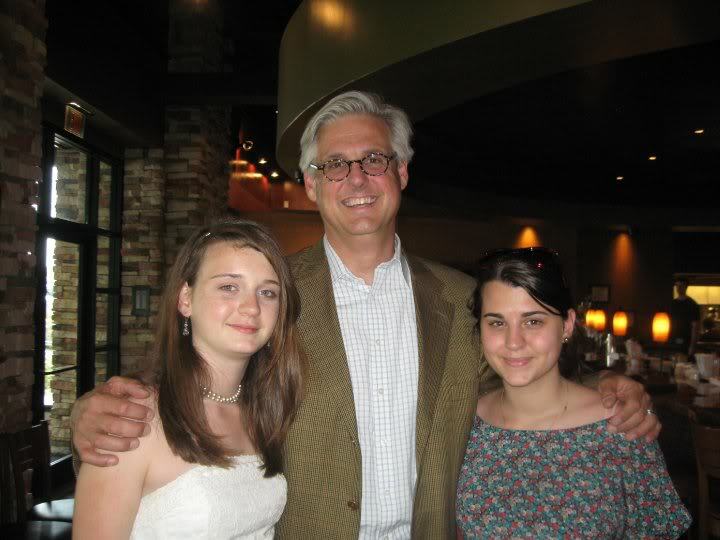 One of those daughters, 19-year-old Sarah Rollins, apparently has a trust fund about which she knows almost nothing. Many questions surround Sarah Rollins' trust fund. In what state was it established? What rules govern disbursements to her as beneficiary? Who are the trustees, and have they fulfilled their legal duties to her? But Sherry Rollins has provided information that indicates the trust fund exists--and under the law, Sarah Rollins almost certainly has a right to know about it. A New York Times article in March 2013 states that in almost all states, an 18-year-old is considered an adult who is entitled to know about provisions of a trust fund. Sherry Rollins says her daughter is mostly in the dark about her trust fund--and Ms. Rollins says she has seen signs that Ted Rollins wants to keep it that way. Unless the two sides reach a settlement, a Georgia jury soon will decide if Randall and Gary Rollins managed trust funds to enrich themselves, at the expense of beneficiaries. Given that Ted and Randall Rollins have engaged in at least one joint business venture--a real-estate development company called St. James Capital LLC--a reasonable person might ask: Is Ted Rollins taking a page from his cousin's playbook by keeping Sarah Rollins out of the loop on her trust fund? 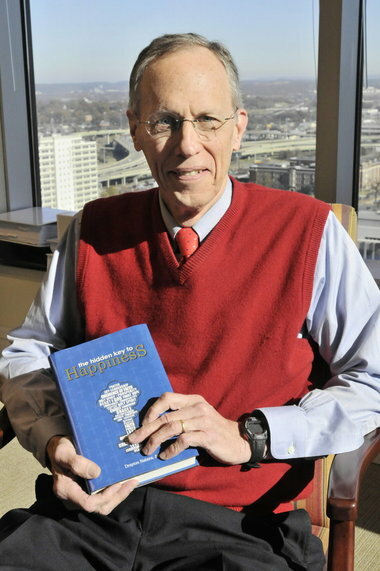 At the heart of the case is a feud over how Gary W. Rollins handles his children’s trusts. Glen Rollins, his brother O. Wayne Rollins II and sisters Ruth Ellen Rollins and Nancy Louise Rollins in August 2010 sued their father, Gary, and uncle, Randall, for their handling of several family trusts. Two days after the children filed their lawsuit, Gary Rollins’ wife of nearly 45 years, Ruth, filed for divorce. The siblings filed suit over the trust that had been established for them, and how they stood to be paid under the plan known as the Rollins Perpetual Management Trust. 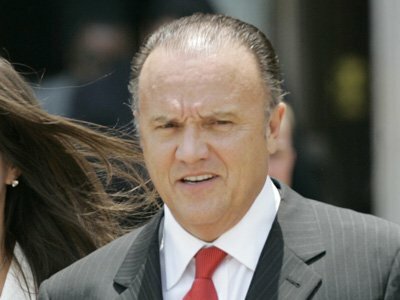 That lawsuit led to Glen Rollins being fired from his executive positions with Rollins on Sept. 7, 2010. He left Rollins Inc. in April 2011. Ouch! A son gets booted out of the family firm because he asks questions about funds to which it appears he is legally entitled? Randall and Gary Rollins have shown signs that they can get vicious when confronted about their actions as trustees. Ted Rollins also has shown signs that he is willing to threaten alarming actions when confronted about Sarah Rollins' trust fund. How exactly has Ted Rollins behaved under such circumstances? We will answer that question in upcoming posts. A recent hearing in my wife's employment lawsuit against Birmingham-based Infinity Insurance was postponed six minutes before it was to start. Court records show that the order was signed by a federal judge we were told was not there that day. Mrs. Schnauzer (MS) appeared on April 10 for a scheduling conference that U.S. Magistrate T. Michael Putnam had set 10 days earlier. MS never received notice of the conference via U.S. mail--and as a pro se litigant, that is her only means of getting court documents--but she learned of it by checking the court docket in person at the Hugo Black U.S. Courthouse on April 5. That caused her to show up for the hearing and apparently foiled someone's plan to concoct grounds for dismissing her case. My wife and I appeared for the April 10 conference at about 9:52 a.m., roughly eight minutes early. We arrived to find an empty courtroom, and judicial clerk David Waters appeared at about 10 to tell us that Judge Putnam was not there that day. That's peculiar because the rescheduling order shows it was filed at 9:54 a.m. on April 10--and it was signed by U.S. Magistrate Judge T. Michael Putnam. What does that tell us? It tells me that someone probably was on the lookout for MS that morning, with instructions to file a rescheduling order if she appeared at the courthouse door. It also tells me that Putnam was there that morning, and Waters was told to lie to us on the judge's behalf. The hearing that was reset for today is billed as a scheduling conference under Rule 16(b) of the Federal Rules of Civil Procedure (FRCP). That's strange because such a hearing normally does not take place until the parties have conferred to develop a discovery plan, under Rule 26(f) FRCP. Why is Putnam, in a classic case of "putting the cart before the horse," trying to set a schedule when the parties have not conferred about a discovery plan? In my view, it's probably a sign the judge and the defendants want to skip the discovery process altogether. MS filed three motions on March 25--all opposition or objections to various documents that had been filed by the court or defendants. The court docket shows that all three of her motions were not entered into the record until April 1, one week after they had been filed. A check of the full docket shows that almost all other documents were entered either the day they were filed or the next day. Why did that not happen on MS's motions? Well, the record shows the delay allowed U.S. District Judge Abdul Kallon to file an order on March 29--it also was entered on March 29--that dismissed a number of individual defendants from the case. These dismissals were one of the primary points to which MS objected, but it appears that her motions intentionally were kept out of the record until after Kallon had issued his order. Over the 12-plus years that MS and I have been fighting court corruption, we've seen judges and lawyers repeatedly act as if we are too stupid to read documents and understand how we are being cheated. That trend clearly is continuing in my wife's employment case. Officials at the Hugo Black U.S. Courthouse in Birmingham intentionally are failing to mail documents in my wife's employment lawsuit against Infinity Insurance. The goal clearly is to give U.S. Magistrate T. Michael Putnam an excuse for dismissing her case, but we might have gathered enough evidence to foil the scam for now. How can I say with certainty that federal justice officials are trying to cheat my wife in a case styled Carol Shuler v. Infinity Property & Casualty et al (2:11-cv-03443-TMP)? A review of the court docket, and official actions in the case, can lead to no other conclusion--at least none that come to my mind. All of this indicates my wife has an extremely strong case, and powerful interests in the Alabama legal and insurance communities are making underhanded efforts to deprive her of any shot at justice. Mrs. Schnauzer (MS) is representing herself, acting pro se, and that means she must rely on the U.S. mail to receive documents from the court; only members of the bar are allowed to file and receive documents electronically. She failed to receive several key documents last December and filed a motion, notifying the court that she had not been served and asking for a time extension to file objections. Putnam granted the motion but stated at a hearing, and in an order, that it was her responsibility to ensure she received mail--and hinted that he might dismiss her case if she missed deadlines due to mail issues in the future. We suspected then that someone intentionally was failing to mail documents to MS. Subsequent events leave no doubt that our suspicions were on target. Most peculiar was this: Four days earlier, on April 1 (April Fool's Day), an order had been entered setting a scheduling conference before Putnam at 10 a.m. on April 10. This was news to us because we had not received notice of the conference via U.S. mail. Here's what I said to my wife upon learning of that docket entry on April 5: "They've had four days to notify you about the April 10 conference, and they haven't done it. They have five more days to notify you, and I bet they won't do it. In fact, I bet they have no intention of notifying you. Given Putnam's warning, they probably are counting on you not to show up, so he can dismiss your case." MS agreed, and she vowed to be there on April 10 to see what would happen. "Here's what I think will happen," I told her. "You will catch them off guard, and they will have to come up with some sort of excuse about why you weren't notified by mail. They also will have to come up with some excuse for postponing or canceling the conference because they probably have no intention of having one." My predictions don't often come true, but this one was pretty much on the mark. We arrived at 9:55 a.m. on April 10 to find an empty courtroom. A security guard stuck his head in the door and said, "I heard this session has been canceled." "We didn't receive notice that it's been canceled," my wife said. "We didn't receive notice about it at all." A few moments later, a young man entered the courtroom and identified himself as David Waters, Judge Putnam's law clerk. A couple of other guys entered at about the same time and stood facing us, with their backs to the bench. It was as if they expected us to somehow try to steal the judge's roost. "Judge Putnam isn't here today," Waters said. "He isn't here?" we said, more or less in unison. "He scheduled this." "Well, I'm sorry," Waters said. "But he isn't here. It's been rescheduled." We noted that we had driven roughly 30 miles round-trip for this conference and didn't appreciate showing up to be told it's been postponed. We also noted that we had received no formal notice about the conference and only knew of it from checking the docket on a public computer. We asked why my wife had repeatedly failed to receive court documents in the mail. Waters got a sheepish look on his face and offered no answer. "You know this case is damned important to us," I said, "Everyone in this courthouse seems to treat it like a joke. We've had cases before Judge Acker and Judge Kallon that have been treated like jokes." At this point, one of the two other fellows stepped forward and informed me I shouldn't curse Mr. Waters. "I'm with the U.S. Marshals Service." "I'm here for another proceeding." "Well, Mr. Waters is Judge Putnam's clerk, and we need to ask him some questions about what happened to this conference. And I didn't curse him. I used a word to emphasize how important this matter is to us." With that, Waters gave us the new date for the hearing and we started out the door. I stuck my head back in to make one more point to the man from the marshals service. "You're here because you knew this was a scam, and you knew we probably were going to be angry about what's being done." The guy didn't reply, and we left. A fundamental element of a federal-funds bribery case is that the defendants have a "meeting of the minds" on a "something for something" deal known as a quid pro quo. Former HealthSouth CEO Richard Scrushy was released from federal prison last summer after serving six years for bribing former Alabama Governor Don Siegelman. But Scrushy said he didn't have a "meeting of the minds" with Siegelman on any of the issues that prosecutors claim constituted a crime. In fact, Scrushy says, he didn't meet with Siegelman at all. That's largely because he barely knew Siegelman, he did not support his election campaigns, and he did not support the education lottery that was central to the governor's term--and ultimately, the government's criminal case. How on earth did Scrushy get convicted for bribing a governor he hardly knew, did not support, and did not meet with--over a seat on a health-care regulatory board that Scrushy says he did not want? That might go down as one of the great mysteries in the history of American criminal law. To make it more stunning, Scrushy says the government got it wrong about the person he met with and the amount of money involved. That is one of many revelations from Scrushy's recent interview with San Francisco-based radio host Peter B. Collins. We already have reported that key testimony from former Siegelman aide Nick Bailey was deeply flawed, and prosecutors offered to let Scrushy out of the case in exchange for false testimony against Siegelman. Now we learn that central "facts" in the government's story were wildly off target. A podcast of the full interview can be heard here. When Governor Siegelman was elected, he asked me to serve [on the CON board], and I said no. I had no interest in serving. I had resigned under the previous governor, Fob James; I did not complete my three-year term under Fob James. . . . I didn’t want to go to the meetings, and I was tired of it. Governor Siegelman’s transition chief, Elmer Harris--who was president of Alabama Power--came to see me, and he said, “Look, the governor really wants you to do this. You’ve served under these other governors, and it’s really an insult to tell him you’re not going to do it.” I didn’t have a relationship with Governor Siegelman, I didn’t support him, I had not given any money for his campaign. But [Elmer Harris] said, "Will you serve some time [on the board]?" And I said, "I will give them a year, and then I’m going to leave." And that’s exactly what I did." A third flaw in the government's story, Scrushy says, involves the amount of money he eventually gave. Court documents and press reports repeatedly have said Siegelman wanted, and Scrushy gave, $500,000. But Scrushy says he only gave $250,000--and that did not involve a "meeting of the minds" regarding a seat on the CON board. In fact, Scrushy says, he already was on the CON at the time of the donation and was about to go off the board, per his agreement with Elmer Harris. What has caused confusion about the amount of Scrushy's donation? Scrushy says it's probably because the Siegelman administration asked him for money twice--once for the education-lottery campaign and once to help pay off debt once the referendum had been defeated. I was in a management meeting at HealthSouth and told my people the governor had called and asked if I would help, and I told him no. One of our guys called an investment banker in New York and said if they knew of anybody who wanted to help, let him know. Apparently they did have a company that was doing business in Alabama and wanted to get involved, and they donated $250,000. It had nothing to do with me at all. They had to pay off the debt to the Democratic Party, and wealthy businessmen in Alabama had signed on the note and were paying down that debt. Elmer Harris again came to see me, and he said Alabama Power was putting in $100,000, and ALFA Insurance was putting in a bunch, and he named a bunch of other companies that were paying it down. He said, "You’ve never helped the governor and never given him a dime, you’ve never done anything in the state of Alabama to help this guy. Can you help these businessmen pay down this note?" And I said, “OK, I will put in $250,000." Now, I already was leaving the CON board. And we wrote a check to help pay down that debt to the Alabama Democratic Party, which was all we ever put in. But it’s still in the media that I gave $500,000. [Siegelman] and I never had a conversation about any of this. The transition chief sat down with me and said, "Richard, you need to help. Everybody else is helping. You run a large corporation, and you need to help get these businessmen off that note. . . . " I felt a corporate duty for me to help too, but the question is, "Why weren't these other people [who helped] indicted . . . ?" It was politically convenient for them to pull me into this because of what I had been through at HealthSouth. . . .
Siegelman was going to win the governorship again, and Karl Rove didn’t want that to happen. [The governor and I] never had a conversation about, "Richard would you help me do this or that?" It just didn’t happen. 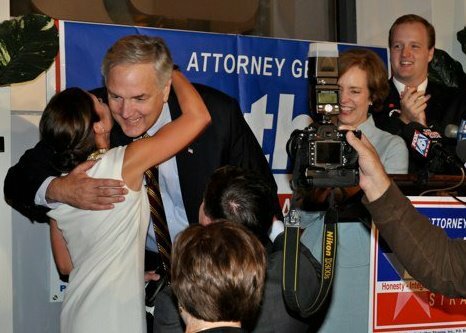 Who is the bigger hypocrite, Alabama Attorney General Luther Strange or his trusted aide and former campaign manager Jessica Medeiros Garrison? Looks like this one is going to be a close call, but we will strive to come up with an answer. We know that Strange takes hypocrisy on gambling issues to monumental dimensions. 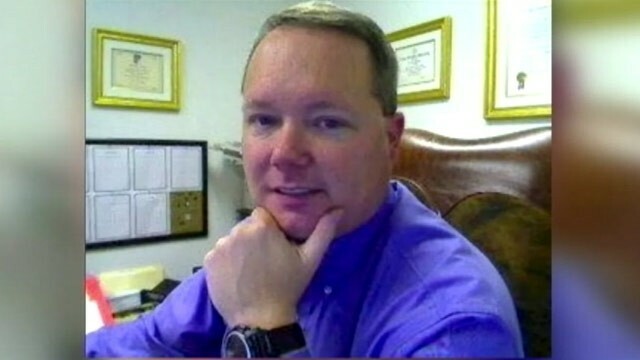 After all, this is the guy who has tried to shut down non-Indian gaming facilities, such as VictoryLand in Macon County and Center Stage Alabama in Houston County, while taking a $100,000 campaign contribution from the Poarch Creek casinos. This also is the guy who used the Republican State Leadership Committee (RSLC) to help obscure the donation via a PAC-to-PAC transfer. That brings us to Jessica Medeiros Garrison. She made news here last week when we reported on a press release she issued in March 2010, calling for Strange's GOP primary opponent, incumbent AG Troy King, to return any campaign funds he had received from gambling interests. That seems curious--some might say hypocritical--when you consider that Garrison now works for the very organization that helped launder gambling funds for Luther Strange in the same campaign. Jessica Medeiros Garrison, it seems, tried to hold Troy King to a standard that she was not willing to meet herself. Garrison now serves in an "of counsel" role with the large, downtown-Birmingham law firm Balch & Bingham. But her primary role seems to be serving as director of the Republican Attorneys General Association (RAGA). What is RAGA? It is an affiliate of RSLC, the organization that helped funnel Indian gaming funds to the Luther Strange campaign. Translation: Jessica Medeiros Garrison called for Troy King to distance himself from any organization that dealt with gambling funds; Garrison herself subsequently joined an organization that . . . deals with gambling funds. Garrison also called on King to release all loan documents related to a $300 thousand loan to his campaign disclosed in January. “At a time when so many Alabamians are having trouble getting bank credit, it is inconceivable that any lender would provide an unsecured loan to a campaign,” Garrison said. “Given the questions raised by these documents, we know a reputable bank such as ServisFirst would have required King to guarantee the loan. Considering recent questions raised about a $500 thousand bank loan to Ron Sparks' gubernatorial campaign, it would only make sense for Mr. King to disclose how he was able to qualify for so much money or to explain who helped him secure the loan." For now, we will call the hypocrisy race between Jessica Medeiros Garrison and Luther Strange a dead heat. More importantly, our research indicates the two of them have a few personal issues that might merit a public airing. If it was important for Troy King to "disclose" and "explain" certain financial issues, perhaps it is time for Garrison and Strange to address questions for which Alabamians deserve answers. We soon will find out if Garrison and Strange are willing to follow the forthcoming path they recommended for Troy King. Does The Federal Justice System Deserve Our Trust, In Boston, Birmingham, Or Anywhere In Between? The eyes of a nation are on federal law-enforcement authorities, awaiting word of new developments about yesterday's bomb blasts at the Boston Marathon. Meanwhile, in Birmingham, my wife and I see unmistakable signs that our federal justice apparatus is broken. We are operating in the civil arena, not criminal; no one figures to be in physical danger. But we see mounting evidence here that federal-courthouse employees--a couple of judges, perhaps a law clerk, a member of the U.S. Marshals Service, various personnel in the clerk's office--are involved in a scam. The criminal investigation in Boston and our civil matter in Birmingham are separated by about 1,200 miles and many degrees of complexity and national interest. But central figures in both belong to the U.S. Department of Justice. And both cases seem to be raising this question: Can federal justice officials be trusted to get it right? A quick check of the Web reveals a torrent of information and opinion about the events in Boston, and it's easy to find material that suggests many Americans do not think a wide-ranging investigation will uncover the full story. It's tempting to dismiss such sentiments as conspiracy-minded quackery. But my wife and I are finding clear evidence that something seriously is amiss at the Hugo Black U.S. 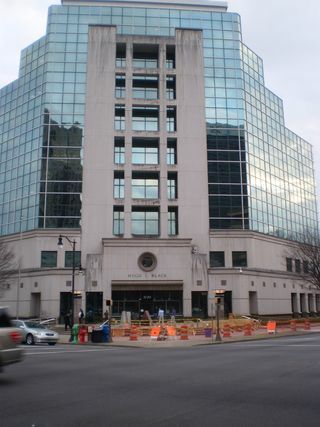 Courthouse here in Birmingham, and it appears to be driven by individuals with a warped sense of right and wrong--and little, if any, regard for the law. In fact, the culture at the Hugo Black building seems so dirty that we want to take industrial-strength showers whenever we return home from a visit there. Is there any reason to believe the "justice" culture in Boston is more pure than the one in Birmingham. I can't think of any--and given Boston's reputation as a place of political patronage and arm twisting--the culture there might even be nastier than ours. What exactly are we seeing here in Birmingham? The stench emanates from an employment lawsuit that my wife--we call her Mrs. Schnauzer (MS), for blog purposes--filed in connection with her unlawful termination in October 2009 from Birmingham-based Infinity Insurance. In a case styled Carol Shuler v. Infinity Property & Casualty et al, my wife alleges that various entities and individuals conspired to interfere with her employment because of our aggressive pursuit of an action under the Fair Debt Collection Practices Act (FDCPA). Evidence also suggests that the same political/legal forces who cheated me out of my job at the University of Alabama at Birmingham (UAB) were involved in my wife's case. As I reported last week, we appeared for a hearing only to be told that the judge who had scheduled it, U.S. Magistrate T. Michael Putnam, was not there. On the surface, that might not sound so sinister. But join me for a brief journey through the legal underworld--a trip that will show something most certainly is afoul at the Hugo Black building. No visit to the underbelly of the Alabama legal world would be complete without a visit from our old "friend," U.S. District Judge Abdul Kallon. An Obama appointee to the federal bench, Kallon has cheated MS and me on multiple occasions, leading me to vow that I would not renew my vote for the president in the 2012 election, as a form of protest. I only changed my mind on that after realizing that GOP nominee Mitt Romney was one truly warped and frightening individual; I had a civic duty, it seemed, to vote in a way that would help keep Romney out of the White House. We did not have to read even two full pages of Kallon's 14-page opinion, to realize that he was up to his old tricks. In footnote No. 2 at the bottom of page 2, Kallon references the "tortured procedural history of this case" and notes that MS had filed a motion to stay proceedings because she did not receive multiple documents from the court via U.S. mail. That's pretty important for a pro se litigant who is not allowed to file or receive documents electronically and must rely on the U.S. mail to keep up with her case. Because she was not served with certain key documents, MS had not been given an opportunity to object to the magistrate's reports and recommendations. Kallon states in his footnote that the magistrate had granted MS additional time, to March 25, 2013, to file objections. Then Kallon offers this pearl: "Even so, plaintiff has filed no objections." Kallon apparently ripped off his order and opinion without even bothering to check the court file for my wife's objections. How in the hell did that happen? We vowed to find out, and that's when a foul odor really started to hit our noses. 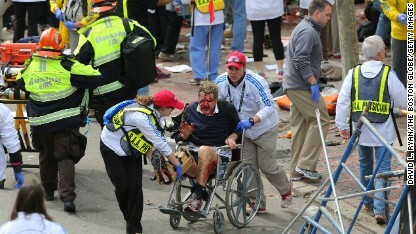 Meanwhile, our thoughts and prayers are with the victims and their loved ones in Boston. May the machinery of justice operate much more efficiently there than it does in Birmingham. The prime suspect in the recent assassinations of three people connected to a Texas district attorney's office turns out to be . . . a lawyer. In fact, Eric Williams had been a judicial officer. Williams, who once served as justice of the peace in Kaufman County, was arrested over the weekend in connection with the shooting deaths of assistant DA Mike Hasse (January 31) and DA Mike McLelland and his wife, Cynthia (March 30). Who is the bad guy in all of this? Finding an answer to that question is not as easy as it might appear. Williams faces charges of making terroristic threats, and it appears that murder charges will come any day. But a look beneath the surface shows that Williams might have been the victim of an abusive prosecution, one that eventually led him to lash out. Press reports had included speculation that white supremacists might be behind the murders. But The Dallas Morning News reports that a former member of the justice community now is the No. 1 suspect--and revenge, sparked by an office feud, probably is the motive. Under Texas law, a justice of the peace is not required to be a lawyer, but Williams has a law degree and was a member of the bar. After his conviction on theft charges, Williams was suspended from his office and likely will lose his law license if the conviction is upheld. Williams was sentenced last April to two years probation and fined $2,500. He alleges in appellate documents that at least two prosecution witnesses provided false testimony. How did a justice of the peace wind up getting charged with theft? The Dallas Morning News provides details in an article titled "Complex picture arises of ex-Kaufman justice of peace eyed in case." Williams stood accused of felony theft of property worth more than $500 but less than $1,500 by a public servant and burglary. At issue were three computer monitors taken from a county storage area. Two of the monitors were found in Williams’ county office, according to testimony. The third was located in his truck. He said he’d planned to take the monitor in his truck to the jail but hadn’t gotten around to it. At the heart of most any theft case is an intent to deceive and deprive the owner of possession of property. Two of the monitors that Williams supposedly stole were found in his county office. A third was found in his vehicle, apparently in plain view. If Williams was trying to deprive anyone of property, while hiding his actions, he sure had a peculiar way of doing it. By Williams’ account, there was bad blood between him and McLelland long before Williams first faced criminal charges in late 2011. That was less than a year after Williams was elected as a justice of the peace and McLelland became DA. Williams tried to get McLelland disqualified from prosecuting him, according to court records. David Sergi, one of Williams’ attorneys, wrote that “a high degree of animosity” developed when Williams opposed McLelland’s unsuccessful 2006 bid for the DA’s office. Suspended justice of the peace Eric Williams has been found guilty on all charges by a Kaufman County jury in the 422nd District Court on Friday. What did Hasse have to say about Williams? "This guy sitting over at the end of the defense table is an elected official who is nothing but a thief and a burglar," Hasse said. “The whole thing was a witch hunt and anyone in the legal community here knows that,” she said. . . . Many questions remain about the Texas DA murders. But this much seems clear: A feud among lawyers apparently drove them--and white supremacists had nothing to do with it. For now, this appears to be a matter of a county official taking a couple of computers out of storage and using them in his office--and taking one computer home to work on it when IT personnel refused to fix it. For that, Eric Williams was charged with theft, and saw his professional career ruined. We have reported extensively on the abusive actions of prosecutors, especially in the federal cases of Don Siegelman in Alabama and Paul Minor in Mississippi. We now have a state case in Texas where two prosecutors apparently decided to pick on a guy they saw as a political rival--and it looks like Eric Williams proved to be the wrong guy to pick on. Would Mike McLelland and Mike Hasse have brought such a flimsy theft case against one of their buddies? The answer, in my mind, is "of course not." They went after Eric Williams because they didn't like him and saw him as a threat to their political aspirations. In other words they "prosecuted a person, not a crime"--and that decision had deadly consequences.